Referee Greg Aitken shows Connor Goldson a yellow card following his foul on Liam Millar. Picture: SNS. The recriminations played out by Rangers and Kilmarnock over their draw on Saturday didn’t end with the managers of both clubs having their say on a tousy affair. 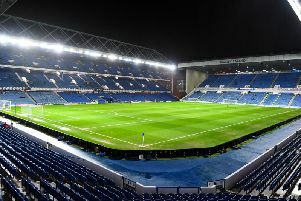 It was carried on by Gary Dicker in startling fashion, the Kilmarnock captain accusing officials of once more betraying the fact that they bottle out of making big decisions against the Ibrox club on their own patch in expressing incredulity that Steven Gerrard’s men kept 11 players on the pitch. 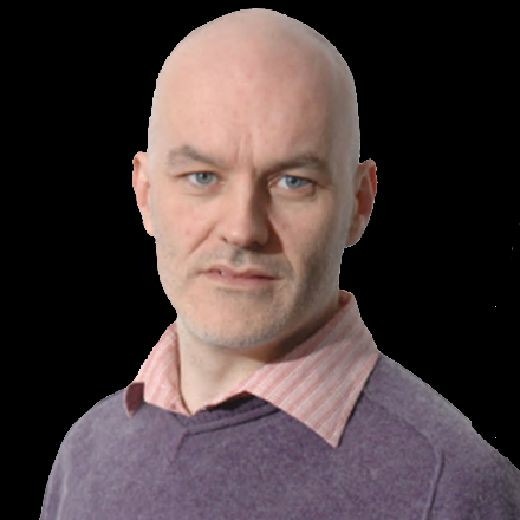 The Rangers manager may have spent much of his post-match address – during which he acknowledged the hapless defending that allowed Conor McAleny to claim an early lead for Kilmarnock that a second-half Alfredo Morelos strike cancelled out – complaining about the level of aggression exhibited by Steve Clarke’s men. However, Dicker was in no doubt that the team that deserved to have real gripes about events on an afternoon which has left Rangers trailing Celtic by ten points in a now non-existent title race was his own. Dicker, making oblique reference to the Scottish Cup tie at Ibrox last month when his club were denied an early penalty and then had keeper Daniel Bachmann shown a red card that was later rescinded before losing 5-0, was incensed by what he saw as shirking by referee Greg Aitken following two incidents. The first came when Kirk Broadfoot had words with Morelos as the pair left the field at half-time. He seemed to click the Colombian’s heel with his foot – probably intentionally – which led to the Rangers forward spinning round and striking the defender in the face with his hands. Aitken took no action over the incident. The second came in stoppage time when Connor Goldson halved Liam Millar, in utterly brutal fashion, as the Kilmarnock substitute motored past him and into the box. After consulting via his earpiece, Aitken decided this transgression warranted only a yellow card. Gerrard accepted his defender may have been lucky to escape a red, but that Goldson probably thought he could get away with such a crude lunge after Clarke’s men were “lucky five or six times” over what he considered was their unacceptable approach in making “a lot of dangerous challenges”. Dicker, who took to social media yesterday to mock Gerrard’s complaints, suggested the handling of the Morelos and Goldson transgressions were beyond the pale. “That’s a red card all day long at the end [with Goldson],” said the 32-year-old Dubliner. “Liam is clean through and he is going to commit someone else and shoot. “We will see what happens because if it happens the other way around it’s a red card for Killie – end of. It takes a bit of bottle sometimes to make those decisions – but it’s a dangerous tackle anyway. “So it doesn’t matter if he is clean through. It’s just more of a red card when you are clean through. “A covering defender [the ref said of giving yellow]. I don’t know, at the end of the day it’s reckless, it’s out of control and he’s not going for the ball. “I’m sure the ref knows the rules of the game better than me so I’m sure he can tell you to be honest. I’m not a ref but it’s a red card. “I spoke to all of them [about the Morelos incident] and they haven’t seen it. The linesman said ‘I just went back down the tunnel’. “I think they shouldn’t come off the pitch until the players are off. Listen, everyone has got an answer. “People make mistakes but the fourth official, four of them there. Someone has to see something. Even with the one at the end. Just make a decision – you are there. “I know it’s away at Ibrox – but it’s frustrating. But it just shows that keep 11 men here [unlike the cup] and it’s a different story. I’m not sure [what happened at half-time], I only saw him [Morelos] swinging an arm at Broaders. Another three-point haul slipping beyond Rangers’ grasp despite dominating possession and territory betrayed the weakness that is threatening Gerrard’s first campaign with being consumed by ignominy. Strong-arm tactics by Kilmarnock are not the reason for that.